I am of the firm belief that last week while I was sitting in Namibia, South African sports stars gathered in a private meeting and set about in a determined fashion to go about proving to me that this country of Green and Gold is the place to be. They didn’t have to as it was always only going to be a weeklong visit to Joe’s Pub in Windhoek, however their amazing efforts did not go unnoticed. On the past weekend South Africa produced what could only be classified as the perfect sporting weekend, thanks to the stars and teams listed below. Ryan is an All Things Jabu favourite, but even more so, he is a South African favourite. The man does not know how to finish a race in any position other than first. 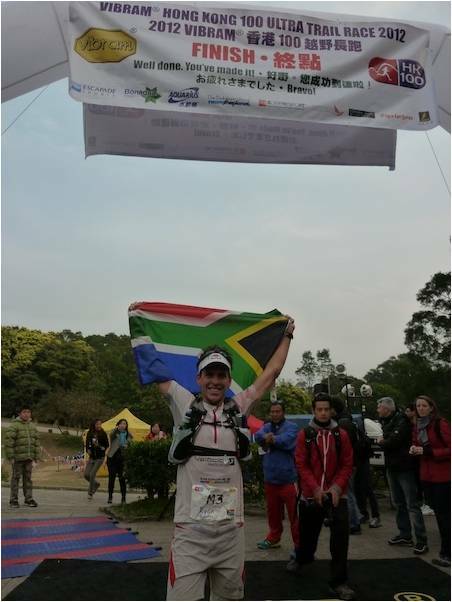 This past weekend he took part in the Vibram Hong Kong 100 ultra trail marathon. 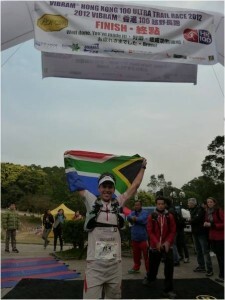 He set a record time of 09:55, which bettered the previous record by a “Richard-Levi-hit-six” distance of 2 hours! Ryan adds this to his already incredible list of victories and is a sure fire to lift your spirits on a weekend that he competes and your other teams have let you down. Another great achievement by Hedgie! In the 2012 European Season, South Africans have already enjoyed 3 victories on the tour, 2 through Brendan Grace and 1 through Louis Oosthuizen. But had I said to you that we would be getting another victory so soon, your thoughts would have probably lingered towards the likes of Charl Schwartzel, George Coetzee, Ernie Els or even Trevor Immelman. 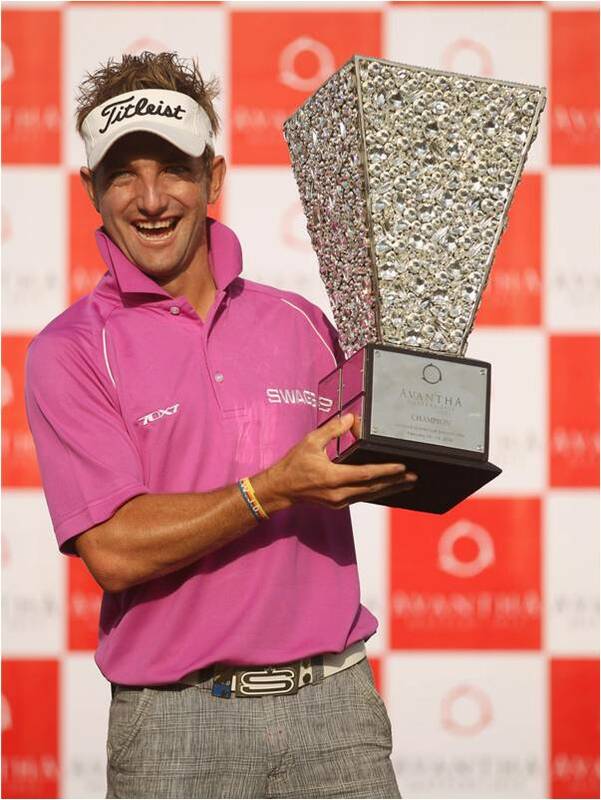 Little chance was given to Jbe Kruger, the Bloemfontein star, but he decided to play his park in the perfect storm that was South African sport this weekend and rose to his first European Tour title by winning the Avantha Masters by 2 strokes. South African golf has a bright future ahead of us! I guess any list of this weekend would not be complete without any mention of the Chuck Norris meets Chris Gayle and has a lovechild performance that was Richard Levi. Not only did he have to listen to abuse from that chop that is Tim Southee, he also had to deal with being in the same country as Bryce Lawerence. Even if you are not a fan of T20, what followed next was one of the most ruthless displays of batting seen. With the ease of Ryan Giggs Brothers wife, he launched six after six into the stands. 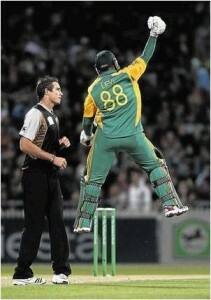 He hit someone on the head, someone on the back and Tim Southee on his pride. The Wynberg product has been causing aftershocks on the domestic radar for a while now and given his opportunity he was sure to not miss out. I hope he is able to take the David Warner approach in his transition from T20 cricketer to world beater, but if for nothing else, it was awesome seeing those New Zealanders get crushed this weekend! To the four stars listed above, South Africa salutes you as you represent us with pride. Bafana Bafana, I hope you are watching, because that is what it’s all about! Proudly South African is easier than ever to say after weekends like that!